Portrait, Bishop Philander Chase and second wife, Sophia May Ingraham is a picture, with genre photograph and portraits. It was created around 1840-1852. 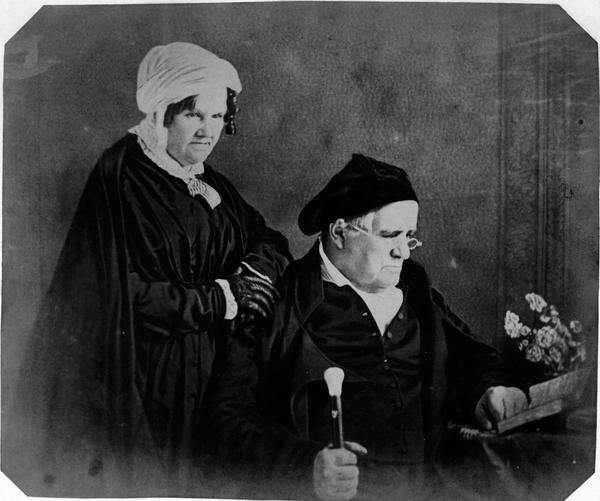 Portrait of Bishop Philander Chase and his second wife, Sophia May Ingraham. Bishop Chase arrived in Worthington in 1817 to serve as St. John's first Rector. Chase also headed the Worthington Academy and ministered to the parishes of Trinity in Columbus and St. Peter's in Delaware. He was named the first Bishop of Ohio in 1818. He left Worthington in 1822 to become president of Cincinnati College. He then began the work that would lead to the founding of an Episcopal Seminary. He had students on his farm on the southern border of Worthington in 1824. 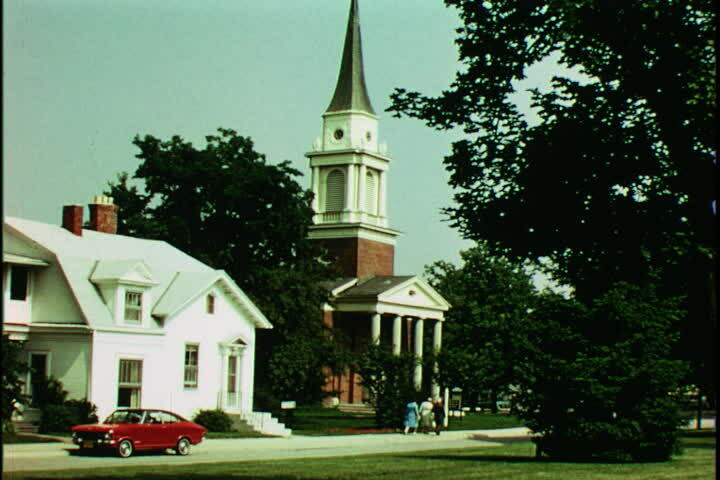 The school moved to Gambier, Ohio, in 1828 where it ultimately became Kenyon College. It covers the topic clergy. The Worthington Memory identification code is sje0003. This metadata record was human prepared by Worthington Libraries on August 2, 2001. It was last updated November 17, 2017.